On average, students with Dyslexia who received Seeing Stars instruction achieved significant improvements in reading. They made large (significant) standard score changes on nearly all measures. The 30-point percentile increase in word attack put these students well within the normal range (25th–75th percentile). 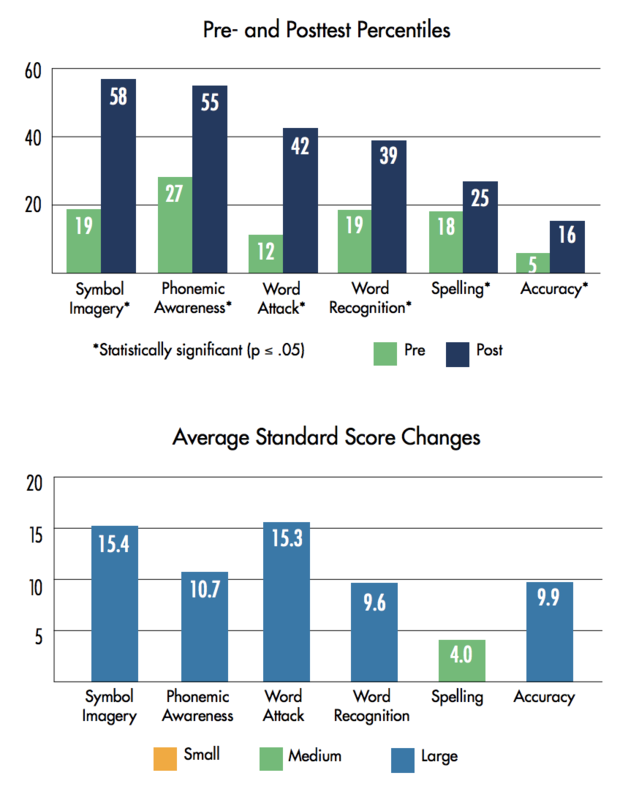 The large average standard score change in word recognition should be noted, as students now performed within the normal range on this measure as well. Their pre- to posttest results were statistically significant on all measures.